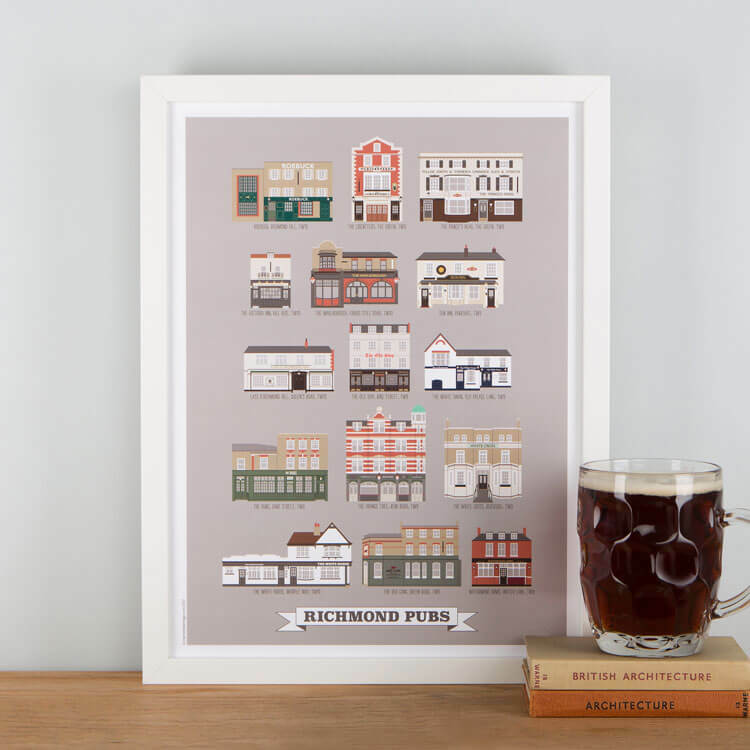 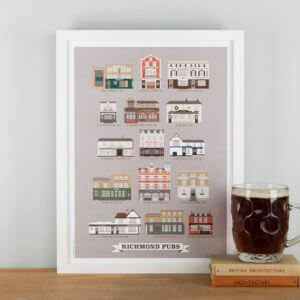 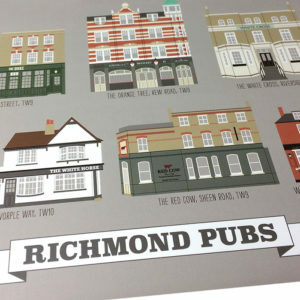 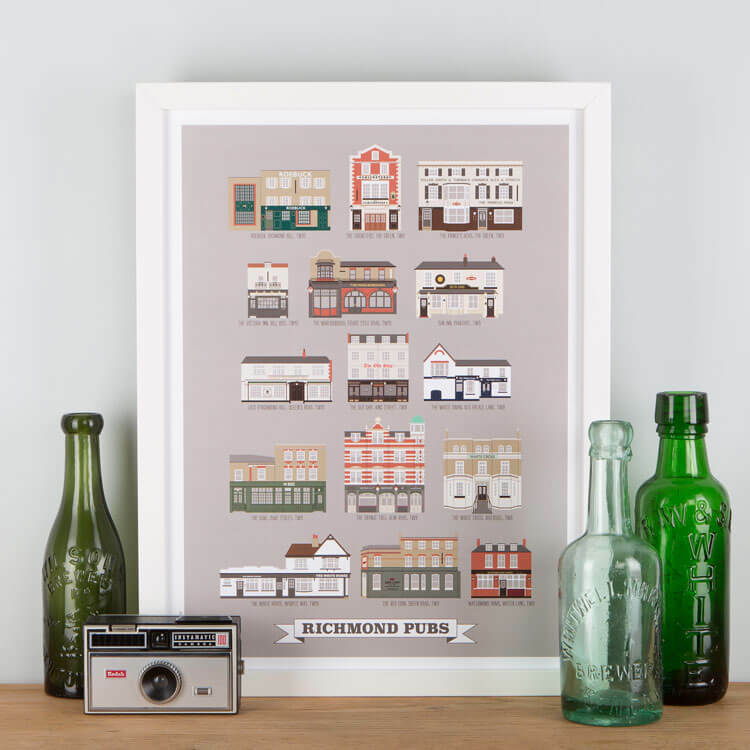 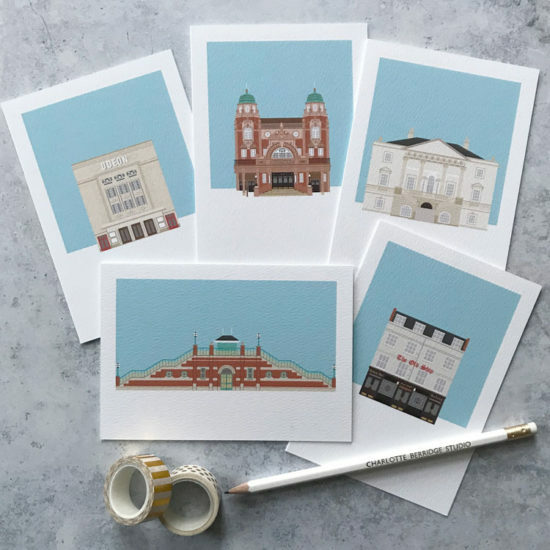 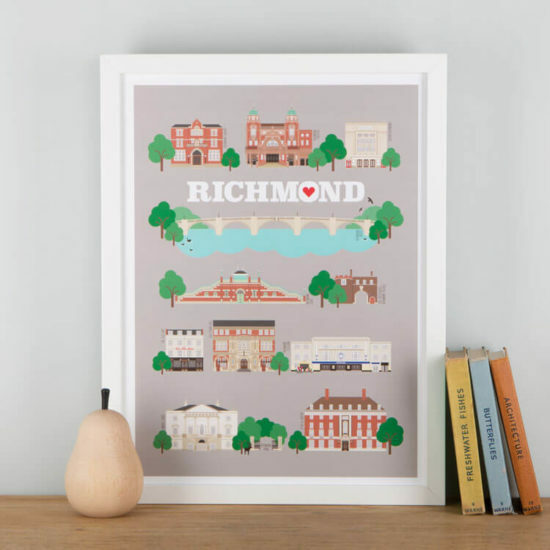 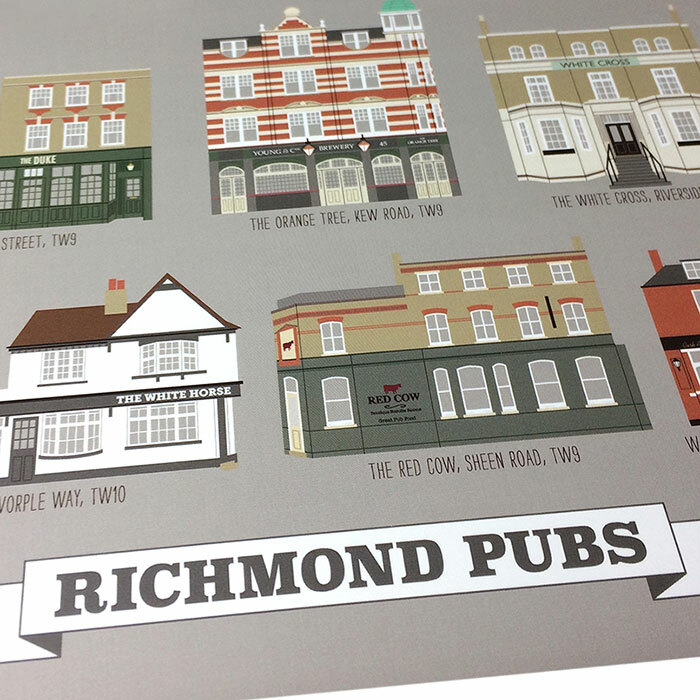 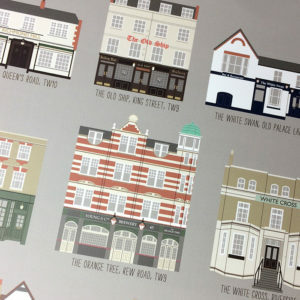 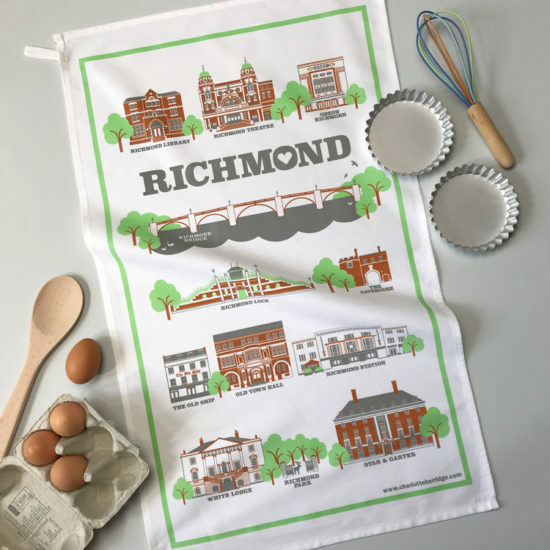 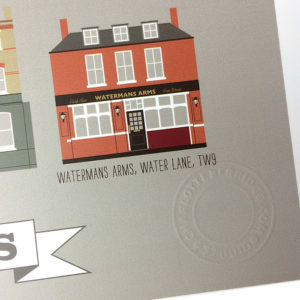 Full colour illustrated art print of historic Richmond pubs created exclusively by Charlotte Berridge. 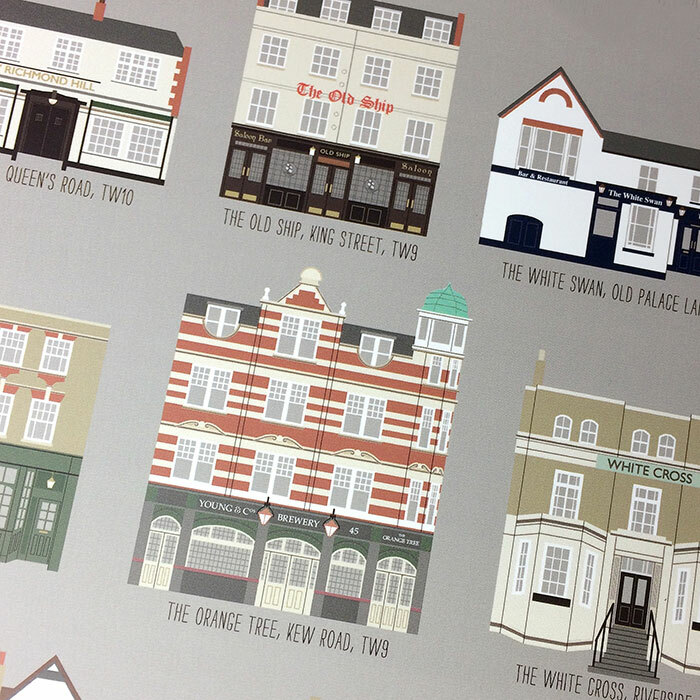 Open edition print, printed in the UK using high quality pigment inks on matt white paper. 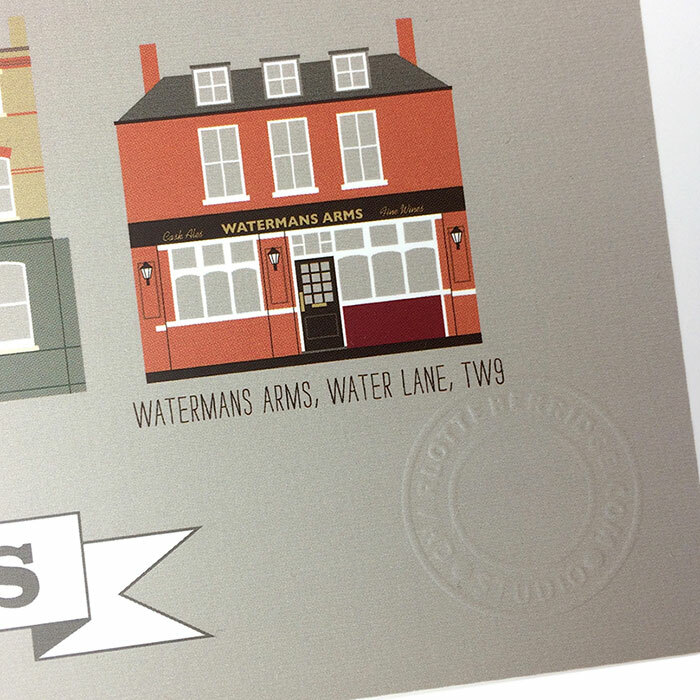 Each print is embossed with the artist’s stamp.